Wrist: Part of Diesel’s appeal is that their designs are fresh in an industry where most brands are watered down licenses that play it safe. Most of the more interesting work done in the fashion watch field was back in the early period with Lip, Pierre Cardin and others. What is your take on it? 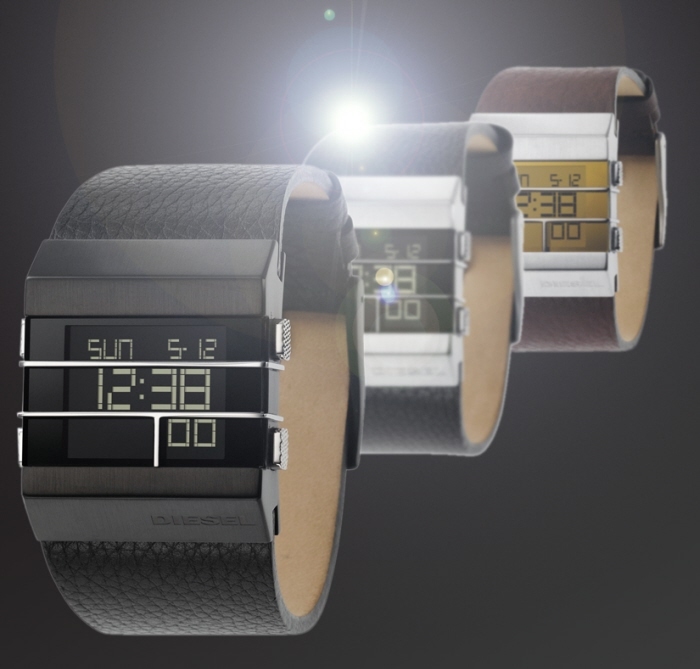 Jason: For the history of fashion wristwatches… I don’t know how I feel about this. It’s a back and forth between high end watches and fashion watches. The trick with fashion watches is making a cool product that everyone can afford, all the while having an appeal that makes someone walk by and be like… I gotta get that watch, it’s so cool. I think that is something that luxury wristwatches does, it’s just on a luxury level… does that make sense? Some of my favorite “luxury fashion” watches are from Corum and U Boat. 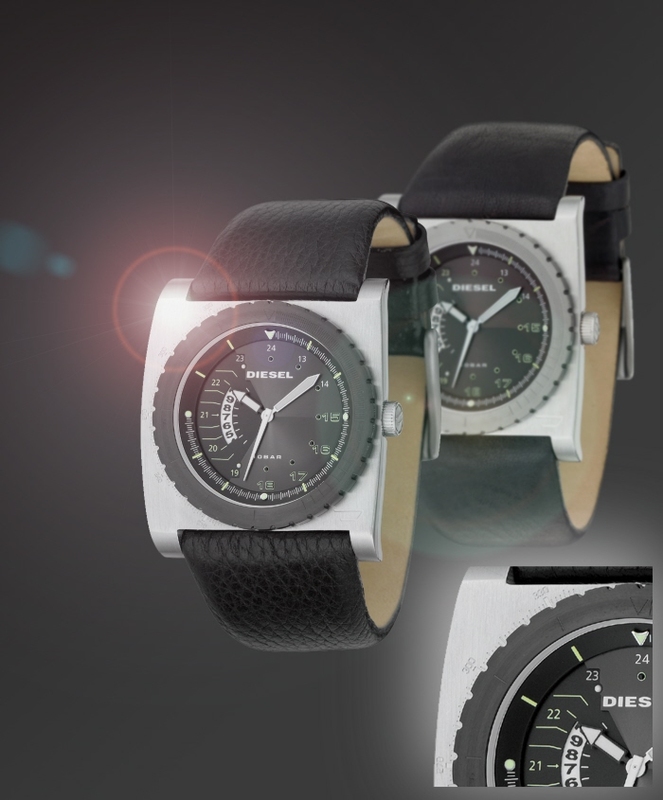 For Diesel… I am sure to any fan of wristwatches, you can see the influence of watch design from the past. In Diesel, we try to do what LIP did back in their heyday. Be unique. Be different. Let the design speak for itself. 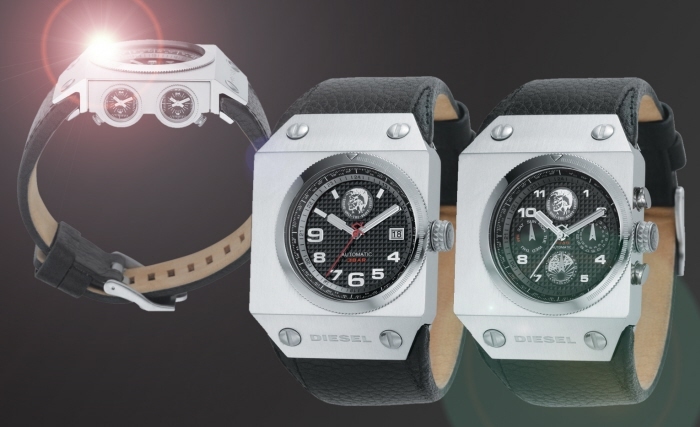 People gravitate to what we do in Diesel because most of what we do in a Diesel watch, is something very unexpected! Wrist: How did you get into watches? Jason: I got into designing watches by being at the right place at the right time. I was doing a production job at Fossil, assisting the graphics group. I was sitting in the break room one day sketching some of my graffiti style characters and a guy from the product design group saw my sketches. He asked me if I could draw watches. I told him, I didn’t know but I’d give it a try. So, I did a test project, he dug it… and I have been doing watches for the past 9 years now… haha… Never thought I’d be designing wristwatches. Wrist: You worked with Microsoft on the S.P.O.T and the Palm Pilot watch? What did you think of the eventual demise of the Spot? I asked the tech group over and over… please, lets develop streaming music. Let’s be able to 2 way instant message. No one got it. This was when texting on mobile phones was fairly new. Can you imagine the power that would have carried today if we would have had the support to really make this a special product. It was also a strange partnership with Microsoft. Wrist: Diesel Time frames has previously tried to go a little upmarket with a Swiss made edition but it seems to have withdraw from that direction. What happened? Jason: At the time it was too early I believe. It was at a time when I was working on other projects and had nothing to do with that project so it is a little hard for me to comment on that. I think that if it were a time to try it, would be now with the success of the more current higher priced watches. The Step Child. This watch created and set the direction for the Black Label. It was the first time dual analog movements had been placed on the side of a case. Most of the Black Label watches have this feature now. 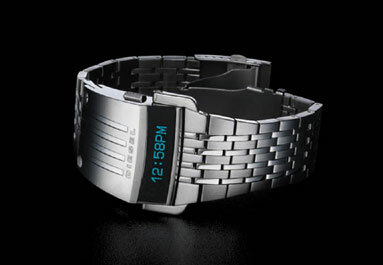 Wrist: Which of the watches you’ve designed gave you the most satisfaction and why? Jason: Currently I just received information from FHM Magazine Australia Edition, that they gave one of my designs “watch of the year” so I though that was kind of cool. Also In the same magazine is another one of my designs (DZ7087), so it was nice too see multiple projects of mine being featured – The Braun watch, The Curved L.E.D. model. I am at home, so please forgive me for not having all of the style #’s. It is hard to say because working on Diesel is so much fun. Wrist: Can you tell me more about your personal art? Jason: My personal art is on display at a gallery in Deep Ellum, Down Town Dallas. It is personal expression is a graphic design style in a street artform. It is stuff I am into mostly. But a lot of people seem to enjoy it. I paint Munnies, and do canvas, wood, etc… I use spray paint, acrylic, marker, etc… I would have to say I have 80% creative freedom at my job with tons of criticism, but my personal art is 100% creative freedom and zero criticism. I do it for me… If you like it, I appreciate it greatly, and if you don’t like it, well then… it’s not for you, because I originally created it for myself… It is what allows me to continue to deal with the pains of being a corporate artist. Wrist: If you do a google search on watches, you’ll find a lot of new articles predicting the demise of watches. What is your take on it? Jason: I really have a hard time believing that. 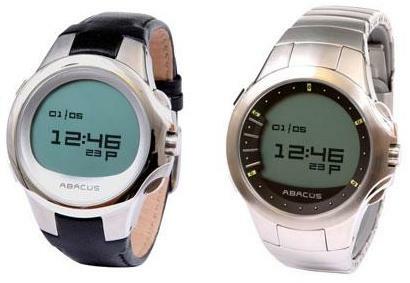 Look at how long the wrist watch has evolved. It is still evolving. Fashion or luxury… they will continue to evolve in my opinion. The amount of watches I work on is crazy and if you look at every watch brand out there, by collection and sku count. It is crazy to think there is this much of a demand for watches. Wrist: Finally, as a designer, what would you still like to accomplish in the future? Jason: I am struggling with this at the moment. Having such a great time working on my personal fine arts has in a way made me start really consider a change in what I do as a fine and corporate artist.